It&apos;s that time of year to get outdoors and enjoy some of Monterey&apos;s famous natural beauty! What better way to bask in the coastal and valley sunshine than with a lovely picnic? Pack your basket and visit one of our favorite spots to spread your picnic blanket. Don&apos;t want the stress and mess of packing your own picnic? Stop by Wild Thyme Deli or Corral de Tierra Market & Deli in Salinas, Togo&apos;s Sandwiches in Seaside, Bruno&apos;s Market in Carmel or Boardwalk Sub Shop in downtown Monterey to pick up gourmet sandwiches and snacks. This Pacific Grove gem is one of the first choices that come to mind when brainstorming the perfect setting for a picnic lunch. 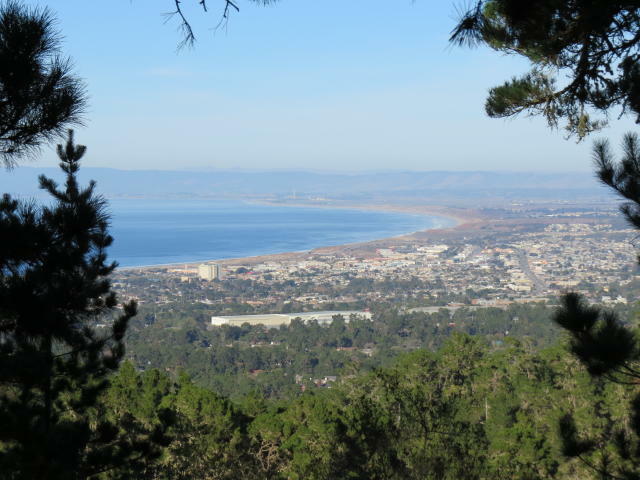 With epic views of Monterey Bay and easy access to the beach and coastal recreation trail there is something or everyone in your picnic party to enjoy. The barbecue pits are just an added bonus! 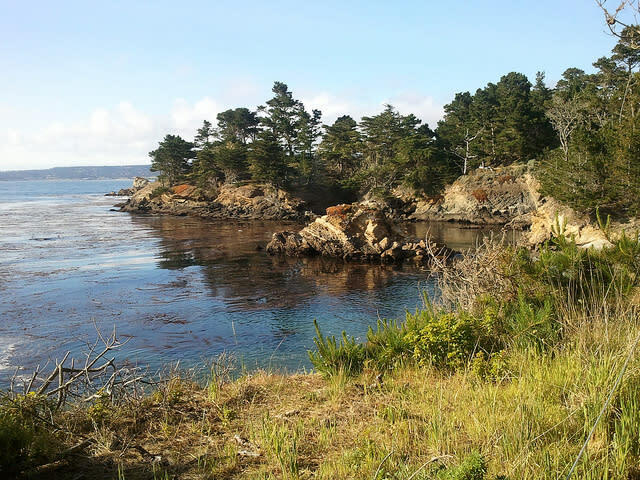 To scope out some local oceanic wildlife while enjoying a high noon break, pull into Point Lobos off of Highway 1. This favorite is home to sea lions, harbor seals, elephant seals, sea otters and is a year-round stopping point for orcas. Picnics are only allowed in the three areas with tables: the Whaler&apos;s Cove parking lot area, where you can admire seals, birds and scuba divers; the Bird Island area, where you enjoy a shady lunch with a view of the rock from which the area takes its name; and the Piney Woods area, which features both sunny and shady tables surrounded by the forest. If you don&apos;t mind sharing a bit of your lunch with some local ducks and geese than Lake El Estero is the place for you! Pick up a bread bowl to-go at nearby Fisherman&apos;s Wharf or set up a barbecue pit and enjoy the peaceful views of the lake and the willow trees dancing in the sea breeze. A lesser-known option is Jacks Peak Park. This unique spot off of Highway 68 is perched near the top of the peak and has expansive views of the Monterey Bay. Several picnic tables and grills are located near the parking area, perfect for a lunch before or after a short hike. The entrance fee, $4 during the week and $5 during the weekend, is definitely worth it. 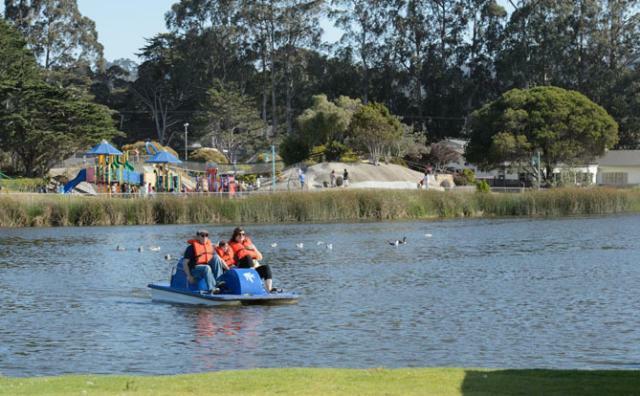 For a more inland approach to your outdoor fare check out Toro Regional Park in Salinas. 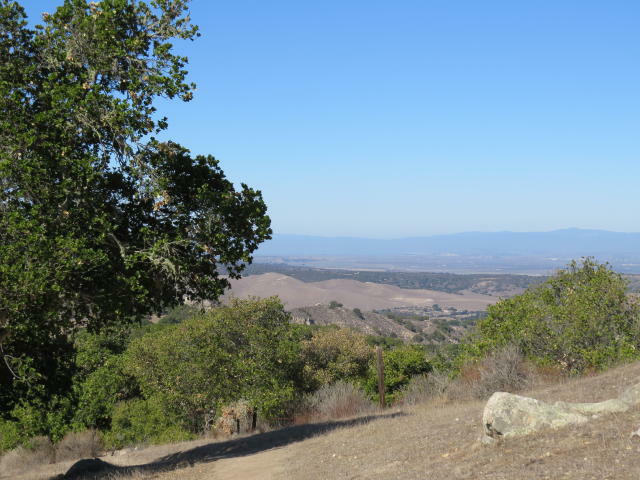 This popular hot spot (literally, as temperature in the sunny inland areas are much warmer than the coastal picnic options) offers several opportunities for outdoor fun including mountain biking trails, a horseshoe course, equestrian trails, volleyball courts and, of course, picnicking! Looking for a little romance? 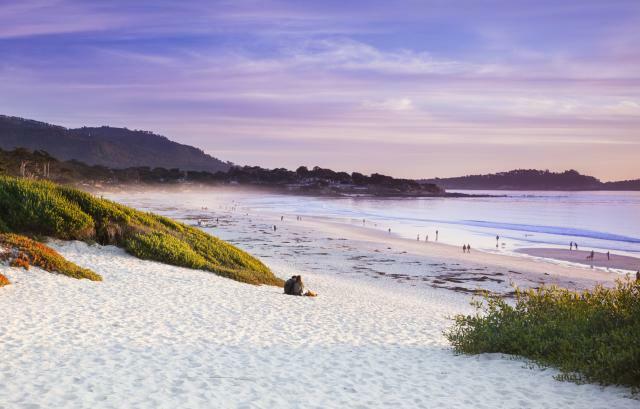 Head to Carmel Beach for a classy take on picnicking. Pick up some of your favorite local wine and cheeses for a sunset picnic and snuggle up before nature&apos;s grand finale. Known for some of the best coastal views in California,Big Sur is the perfect backdrop for your midday munchies. Julia Pfeiffer Burns provides views of both massive redwoods and the Pacific Ocean which seems to go on for eternity. Picnickers can hike to a serene meadow or simply pull off at one of the Vista Points along Highway One to fuel up for the journey ahead. 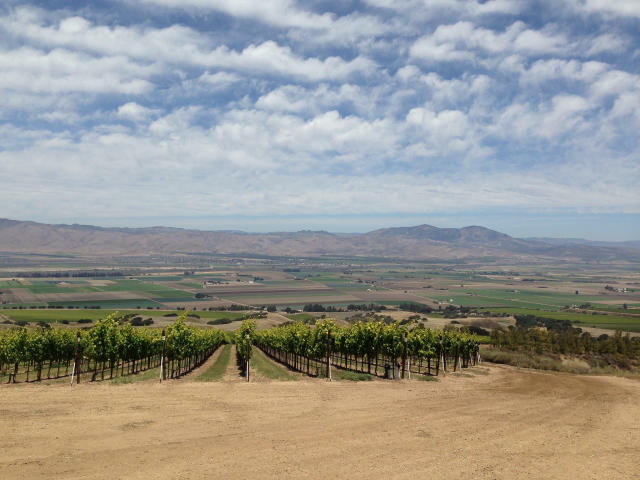 Pair your ham and cheese sammy with a glass of wine and sweeping views of the Salinas Valley at Hahn Winery&apos;s Visitor Center. Their charming outdoor patio is nestled at the foothills in the Santa Lucia Mountain Range and is surrounded by picturesque vineyards. Just take the Arroyo Seco exit off of Highway 101 in Soledad and enjoy. Quick tip: if you purchase a bottle of wine your tasting is free! The dunes at this beach make this a beloved destination for picnickers. They are vital to blocking the afternoon winds that could otherwise come up and disturb your peaceful setting. Moss Landing State Beach is also a popular bird watching destination so be prepared to see brown pelicans, sea ducks, loons, grebes and sea gulls, just try not to feed them. 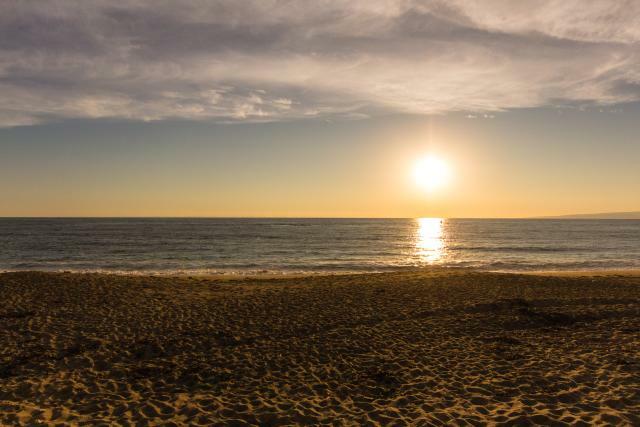 The beach is located off of Highway One on Jetty Road just 16 miles north of Monterey. One of the stops along famed 17-Mile Drive in Pebble Beach is Seal Rock. This is an excellent place to stop while en route to the Lone Cypress, Bird Rock, The Pebble Beach Lodge or Spanish Bay. There are several picnic benches at your disposable; the hard part is just picking one! 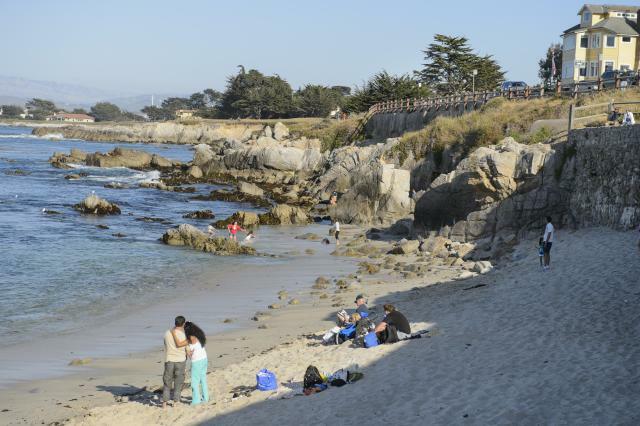 Don&apos;t forget that there is a $10.50 (cash only) entrance fee to access 17-Mile Drive.